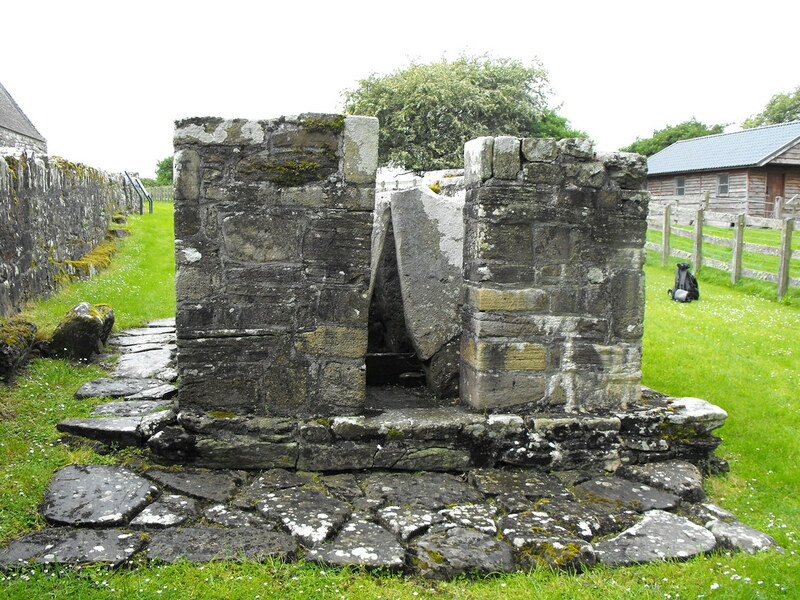 The Standing Stone: The Confessional, Holy Island, Co. Clare. The Confessional, Holy Island, Co. Clare. Location – On Holy Island and part of the main cluster of sites. 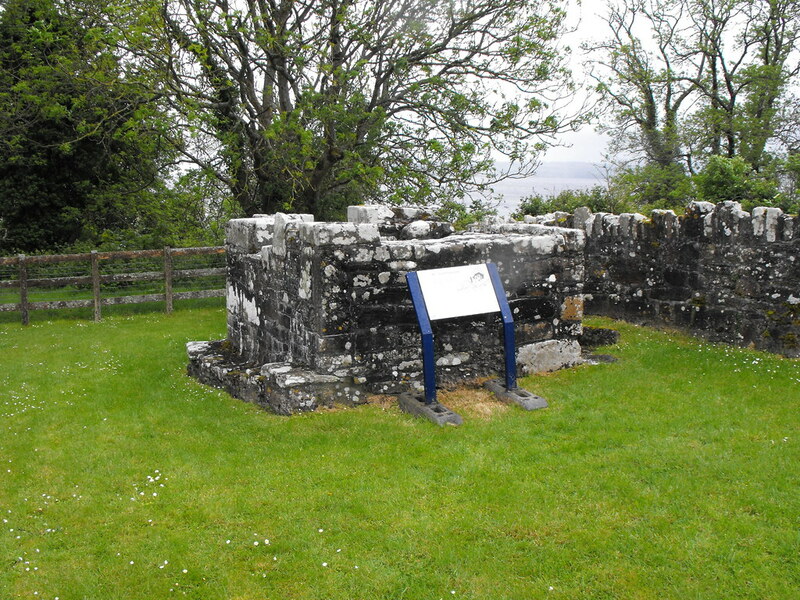 Description and History – This is a very unusual structure and there is some debate as to its origins. It was used as a confessional and the small 2m x 3m is divided into two chambers with a seat on either side, just like modern confessionals. 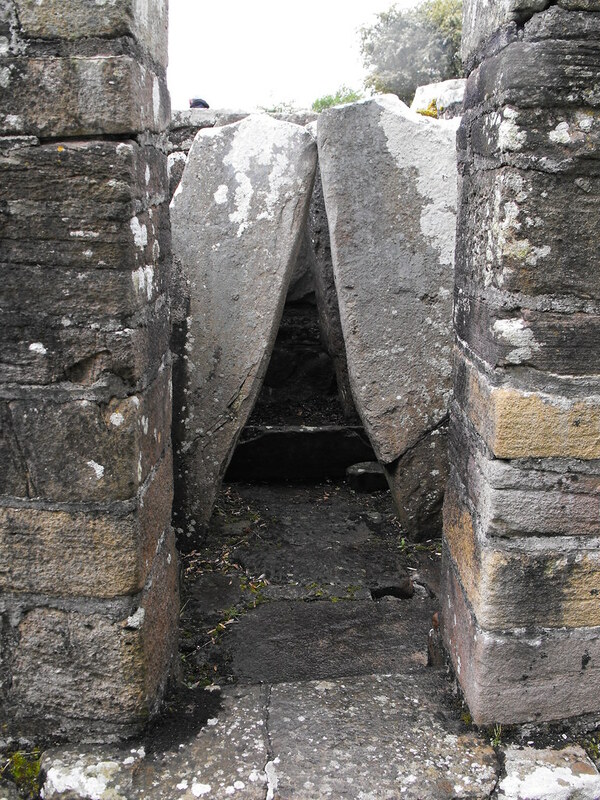 However, the divisions in the building are made from two large stones, two further stones are at the rear of the inner chamber with a large back stone. 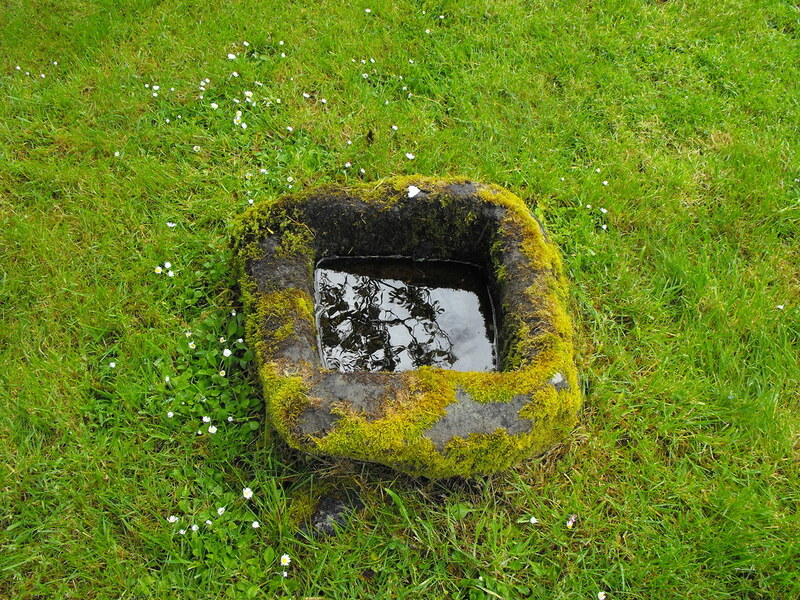 Tom FourWinds at Megalithomania has speculated that this may actually be a reused megalithic monument. It certainly has that feel to it, the four uprights and back stone could be part of a much older monument and that possibility is very exciting. 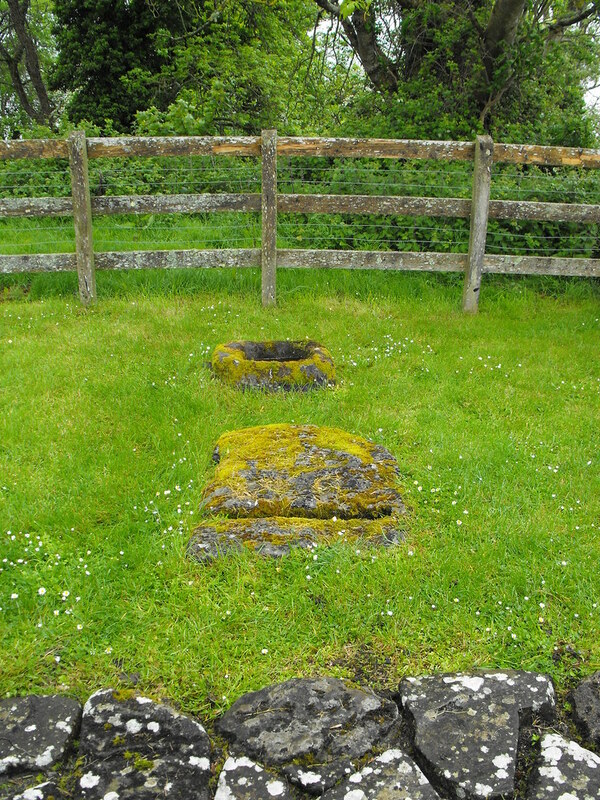 Outside the small building is a cross slab set into the ground with a groove carved into it which probably housed another slab. There is also a cross base further out. These are in alignment with the entrance to the building. This confessional is often considered the most important of the buildings even though it is the smallest and it is considered to be the heart of the complex. Difficulty – This is first building you will meet after walking from the boat and offers no challenge. Back to the Holy Island main menu. They really shouldn't put information signs right up against the monuments like that. 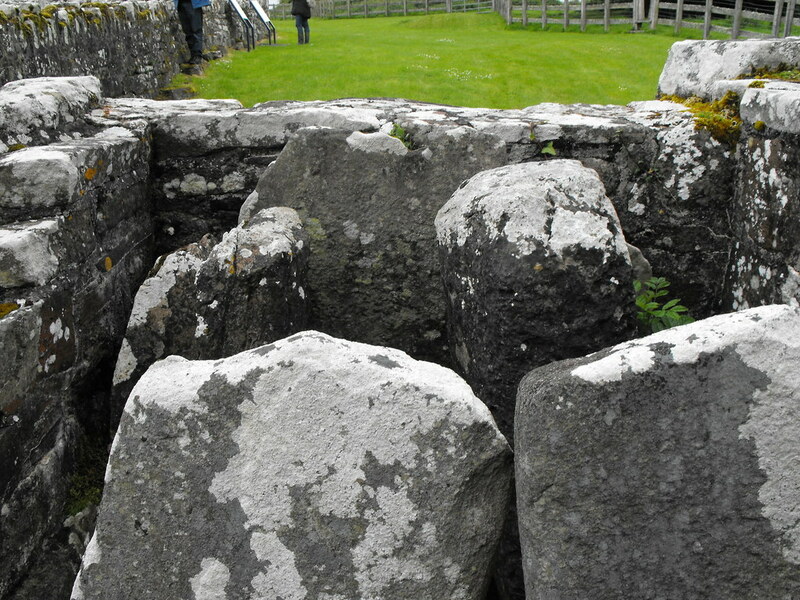 The dividing stones really do resemble megaliths. Could this be a reused ancient tomb? 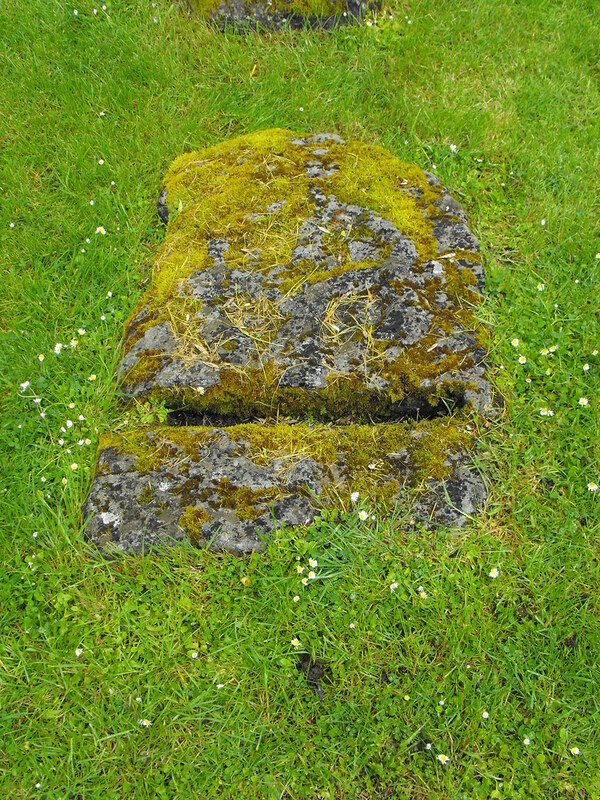 The cross slab and base.